1.1 Welcome to www.freestorageheaters.co.uk. This website is owned and operated by Synergi Marketing, a private business partnership. We are not responsible for the administration of the ECO Scheme or for the accreditation or policing of surveyors, assessors, installers or funding organisations working under ECO. Neither are we involved in the provision of funding for the scheme. It is our understanding that any complaints regarding the ECO Scheme should be addressed to Ofgem at eco@ofgem.gov.uk or on 0207 901 7000. 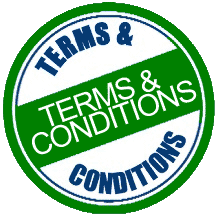 1.2 PLEASE READ THESE TERMS AND CONDITIONS OF USE (‘Terms’) BEFORE USING OUR WEBSITE. By using our website, you are agreeing to be bound by these Terms. If you don’t wish to be bound by what you read below, you should not use www.freestorageheaters.co.uk. 2.1 This site is about providing information relating to Grants offered under the Affordable Warmth Obligation, one of the Energy Companies Obligations set out in the Electricity and Gas (Energy Companies Obligation) Order 2012 (as amended) which was approved by Parliament in December 2012. By providing information to us, either on the forms on this website or by any other method of communication, you agree to us passing the information you have provided to us, to suppliers and installers who offer products and services which may or may not be funded under the ECO Scheme. 2.2 In the course of fulfilling their duties under the ECO Scheme, these organisations may offer other products and services to you. We are not a party to any transactions or contracts between you and any such organisations and neither are we to be considered an agent of either you or them. You should carry out all of your own research in respect of any organisations from which you agree to have goods or services supplied, or with whom you enter into a contract. We are not responsible for any aspect of the prompt or accurate delivery of any goods or services you may contract for with these organisations, nor are we responsible for any warranties, guarantees or after sales service. 3.3 Any funding which may be available under the Energy Companies Obligations (or similar schemes) and which is used to cover part or all of the cost of any product or service in which you may interested is provided by third parties over whom we have no control. The funding for grants may be limited or withdrawn at any time and we offer no promise that funding will be available to visitors to this website. 3.4 Information relating to the Energy Companies Obligations provided on this website is meant to be nothing more than a guide and we do not promise that any such information which we have provided is accurate. 4.1 We take your privacy seriously but in the process of dealing with your enquiry we will pass your details on to other organisations which may offer products and services. We will only pass on your details to companies which offer products and services which you have communicated to us that you have an interest in which will automatically include but not be limited to products and services funded under the Energy Companies Obligations. Please do not provide any information to us either on the forms on this website or by any other method of communication that you do not want us to pass on to others. 5.1 From time to time this website may include details about, or links to, information provided by other websites. We don’t control the accuracy or completeness of that information. You take full responsibility for using that information and verifying it and for any decision to use, purchase or refrain from using or purchasing any of the services or products mentioned on such websites. If you do purchase products or services from another business or website please read their contract carefully before deciding to buy. Remember, your contract for those products or services will be with them, not with us. Neither are we to be considered an agent of any such organisations from which you may acquire products or services, even though we may have introduced you to them. 6.2 The content on our website refers to any information or other material found on www.freestorageheaters.co.uk. You are allowed to use our content for personal, non-commercial use only. You may make one copy of extracts from this site on any single computer for personal, individual use only provided that all copyright and proprietary notices are kept intact. Apart from that, none of our content may be republished, posted, transmitted, stored, sold, distributed or modified without our prior written consent. 6.3 The trademarks ‘free storage heaters’ and www.freestorageheaters.co.uk are owned by Synergi Marketing. All other brand names and trademarks which appear on this website are trademarks or trade names of their respective holders and are recognised as such. No permission is given in respect of the use of any of these brands or marks and any such use may constitute an infringement of the holders’ rights. 10.1 These Terms were published on 11th May 2018 and replace with immediate effect any Terms previously published.